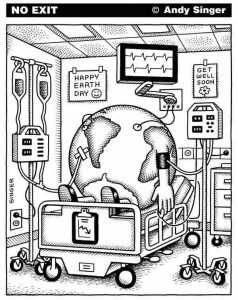 On the image that our teacher has shown for me the meaning of the image is that the earth is very sick for what is not well treated by us. The land is very sick and needs to be recycled and reused and to reduce waste thrown out outside instead of in the trash. If we change the earth will be healthy.